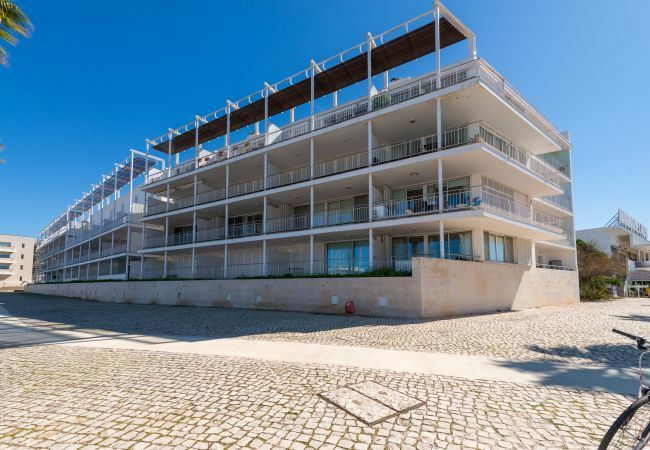 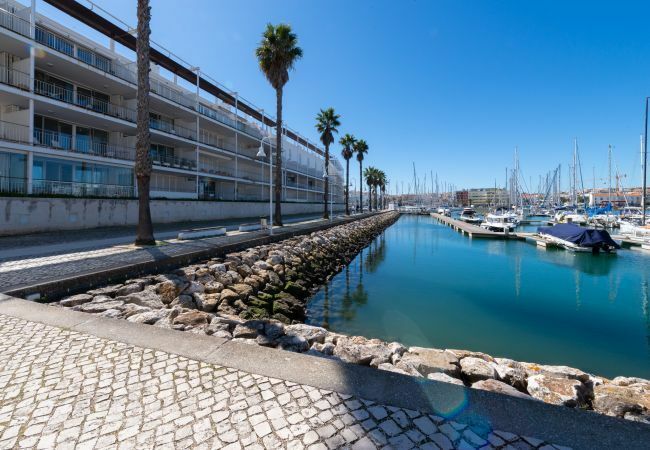 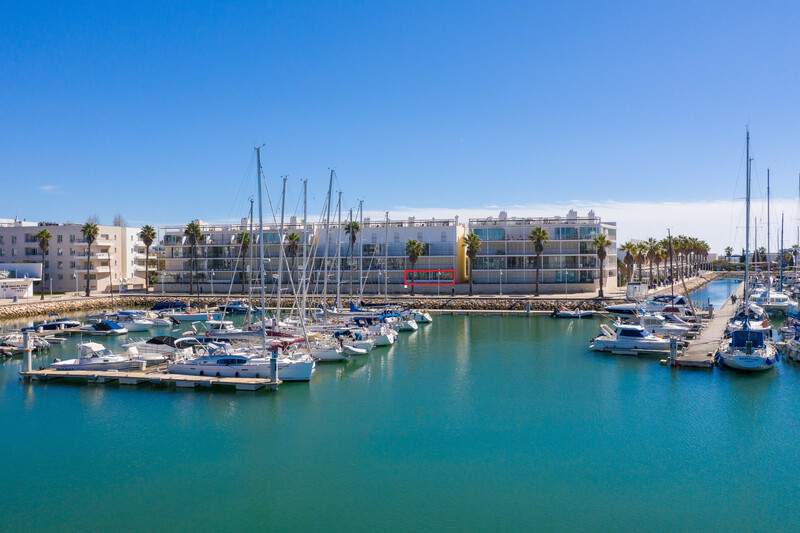 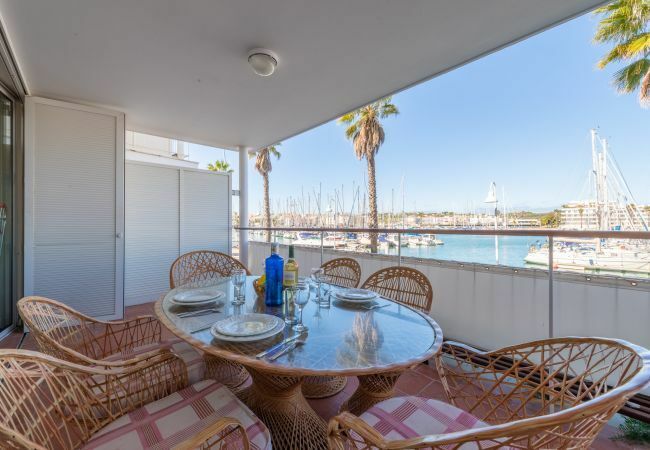 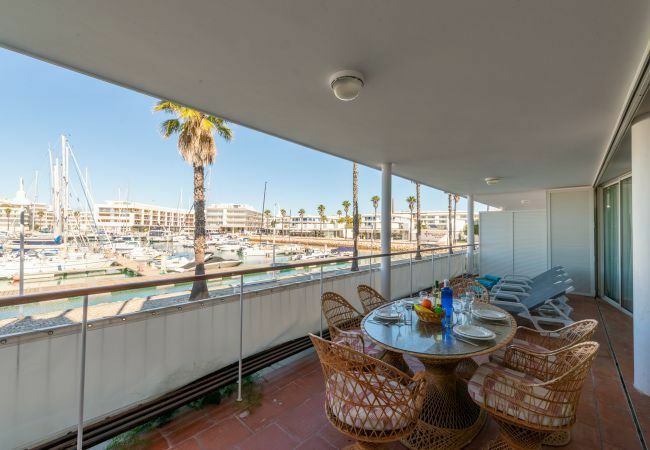 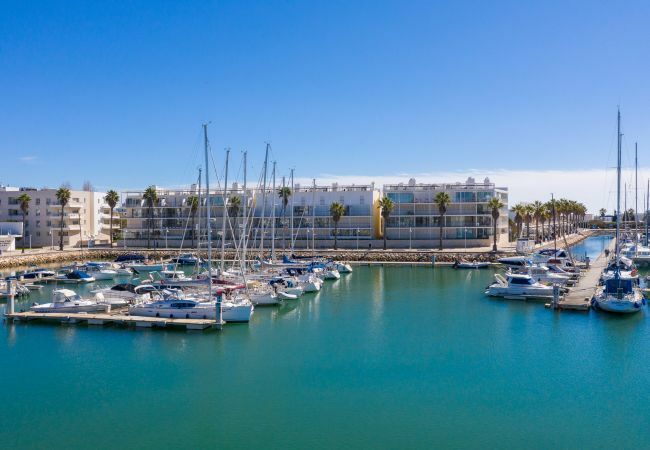 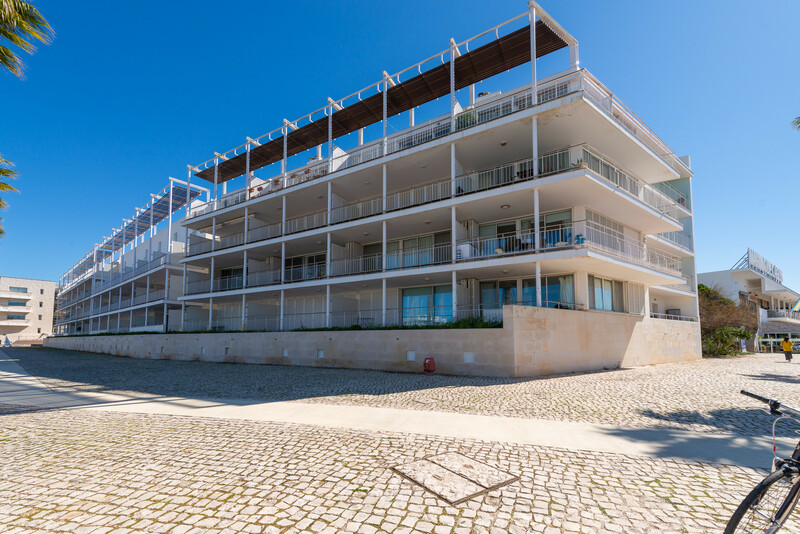 Sunshine Harbour is a spacious 3-bedroom (1 double + 2 twin bedrooms), 2-bathroom, air-conditioned apartment overlooking the award-winning Marina de Lagos. 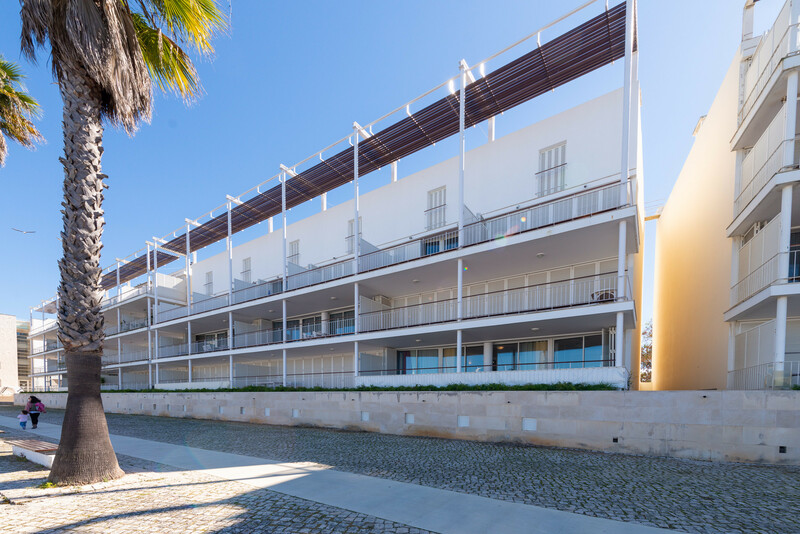 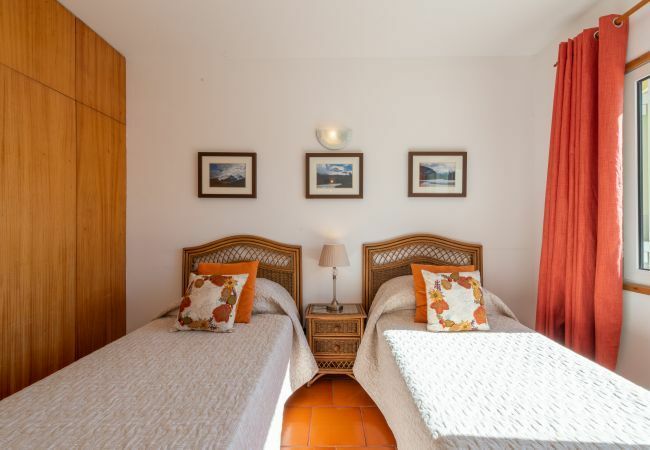 It is ideally located for access to the old town, the main beach of Lagos ('Meia Praia'), supermarkets, and shops (all in walking distance). 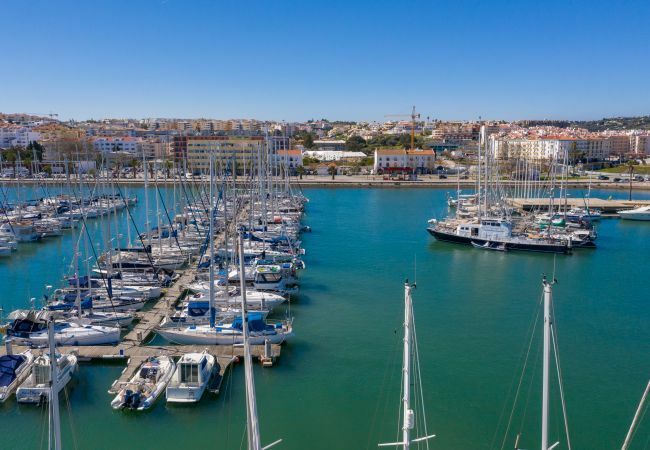 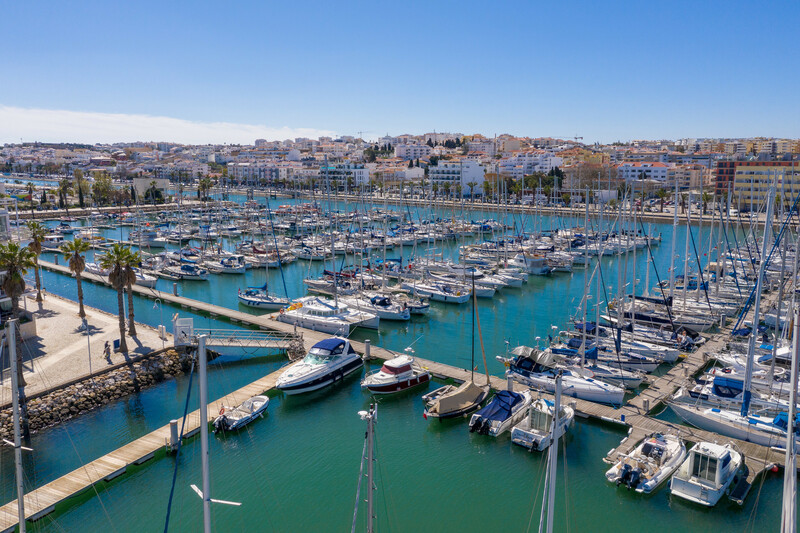 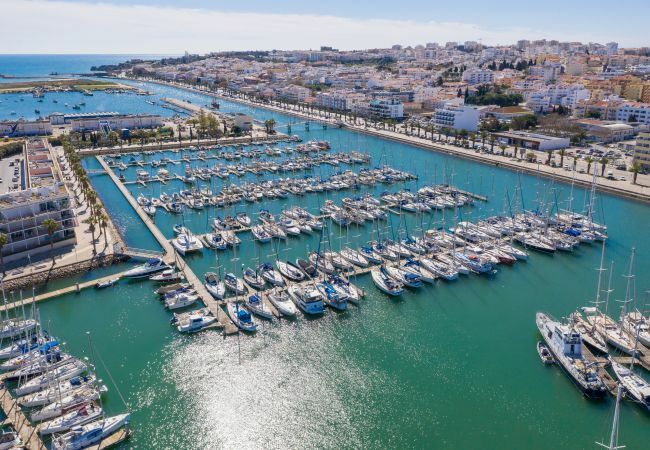 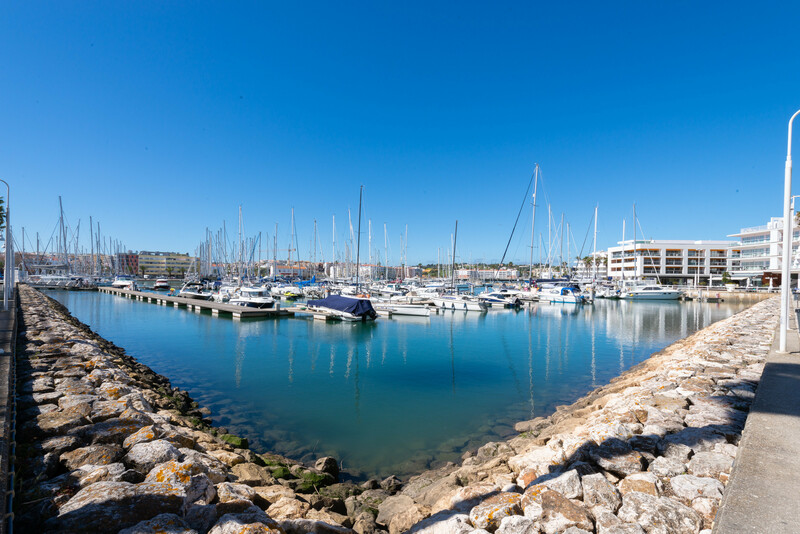 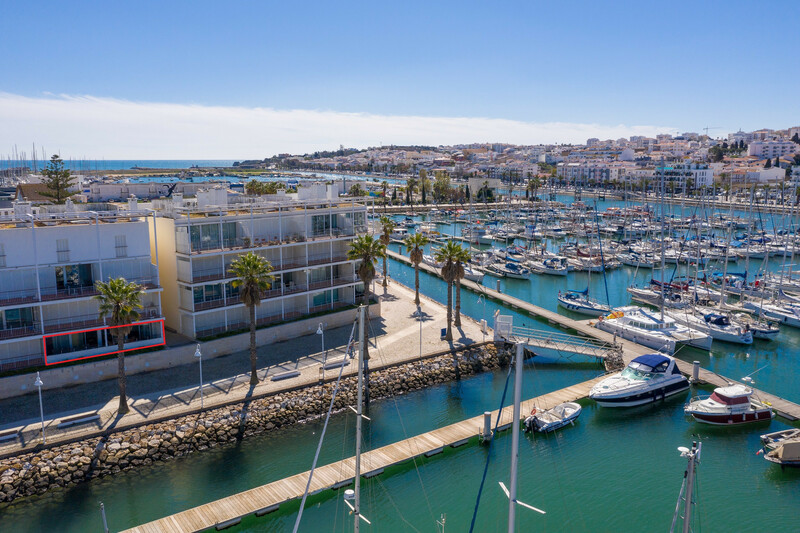 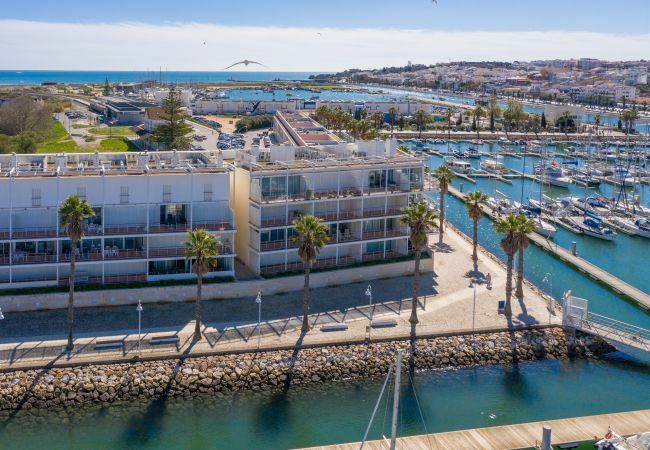 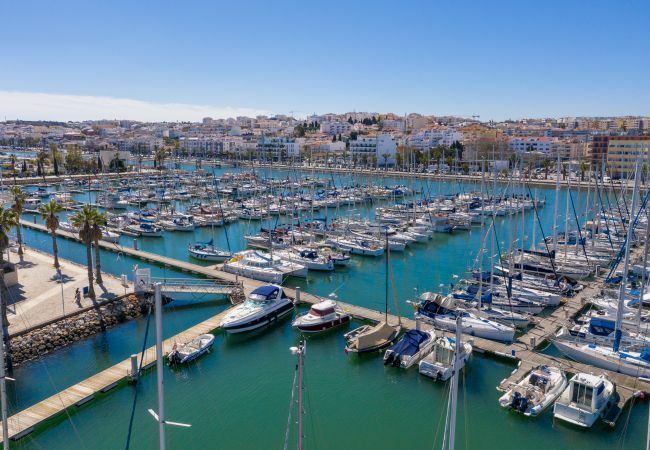 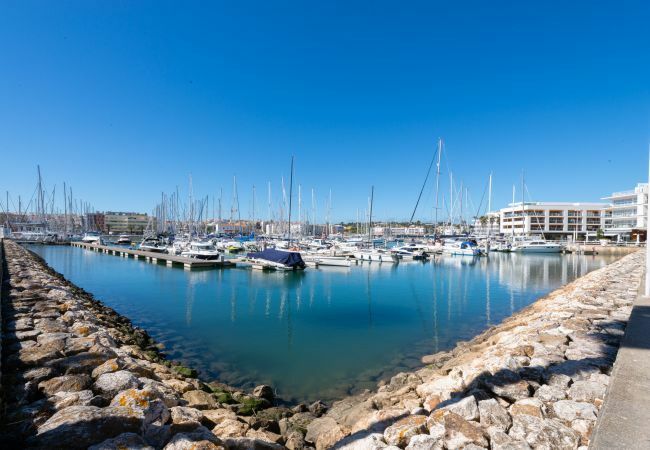 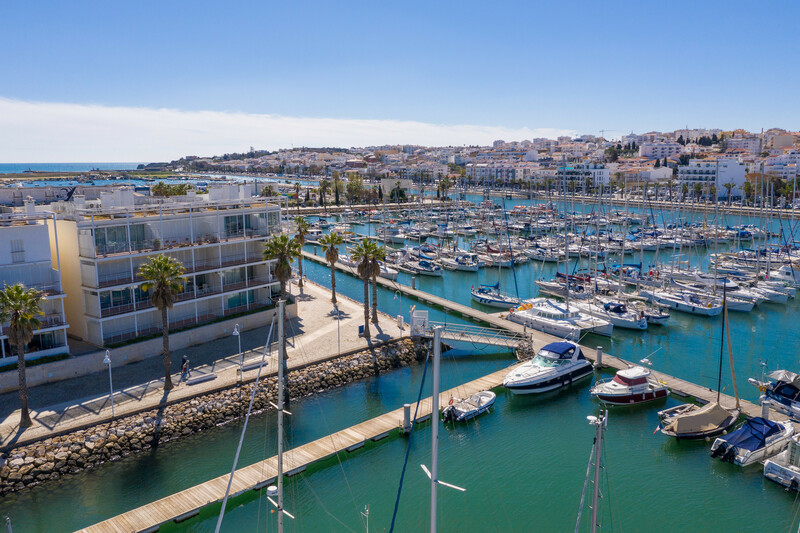 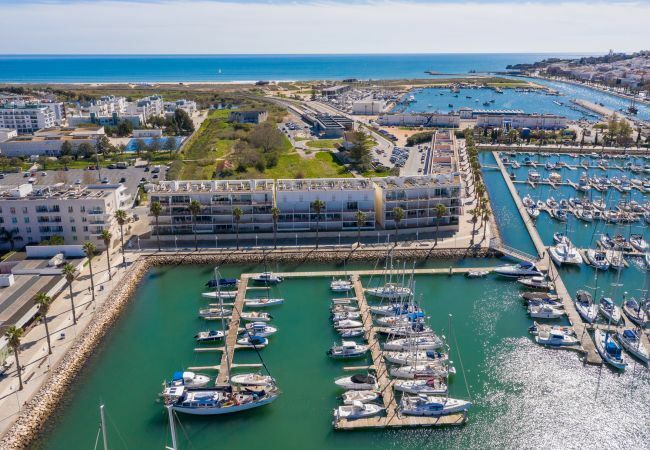 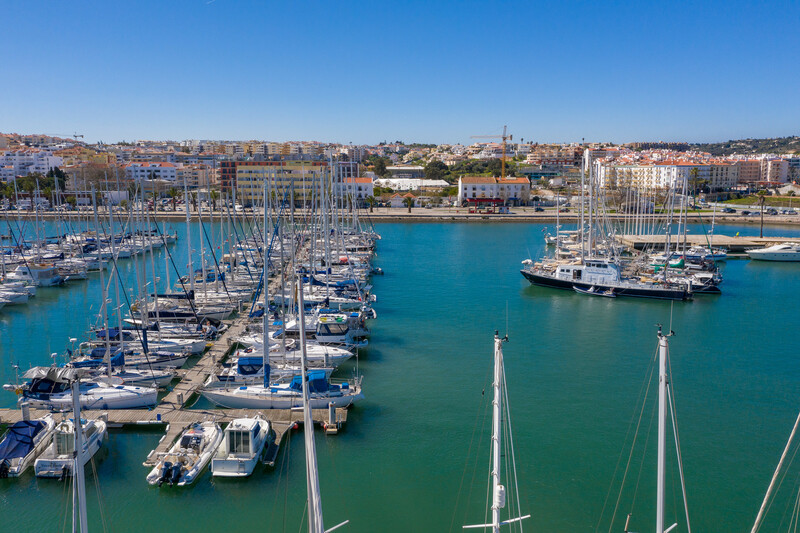 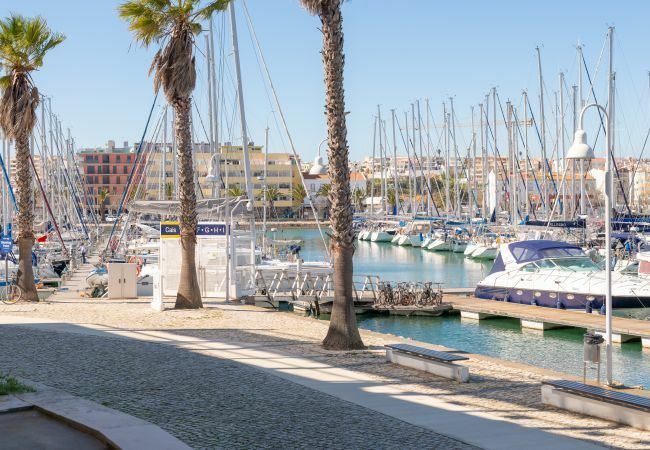 It is also the perfect location for taking one of the many boat trips that leave from the Marina, including sailing trips, dolphin watching, fishing, grotto trips, and so on. 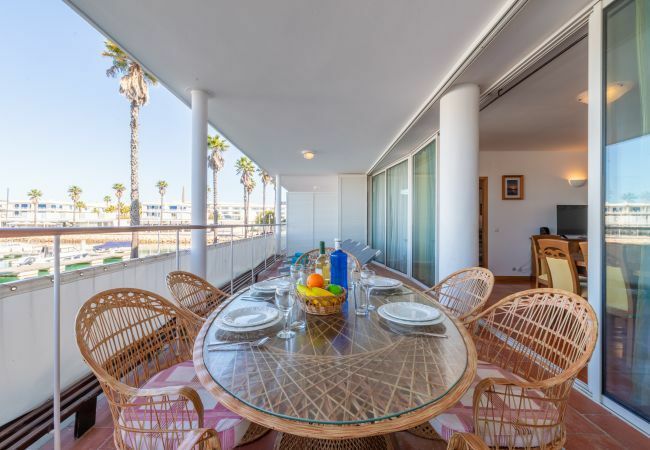 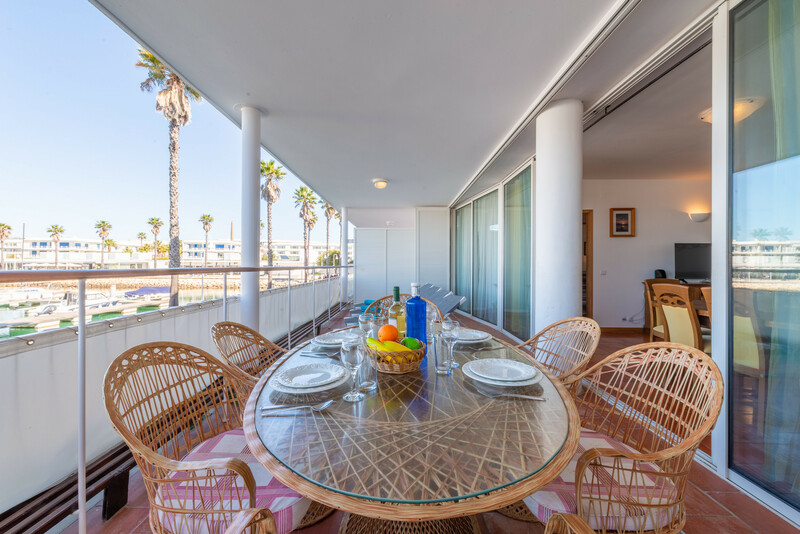 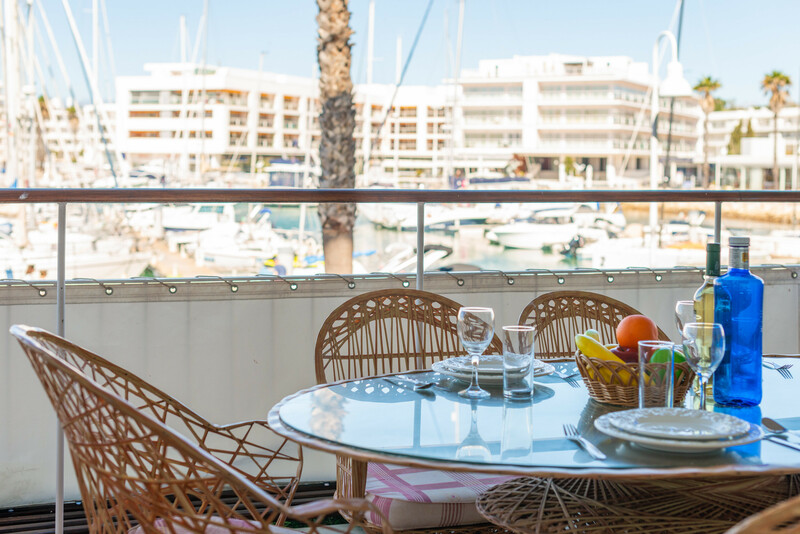 The apartment has an open-plan lounge/dining area with direct access out to the spacious terrace which captures the afternoon sun. 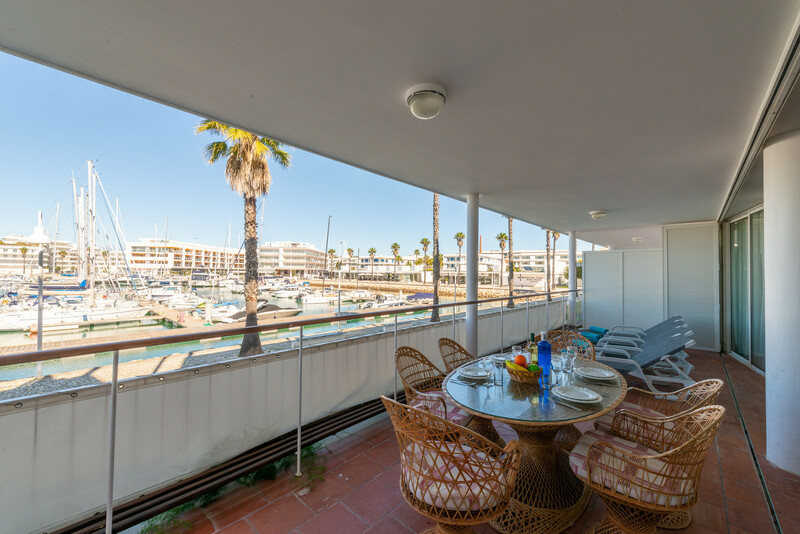 This is a perfect space for relaxing with a sundowner or for al fresco dining. 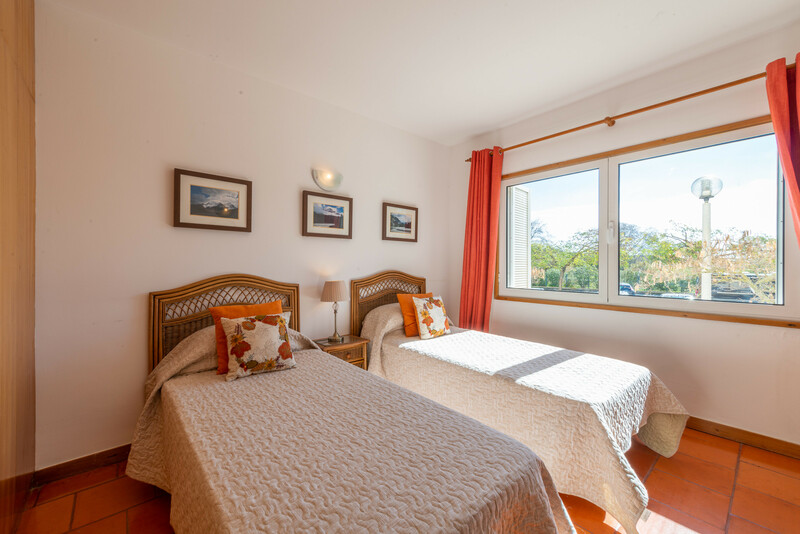 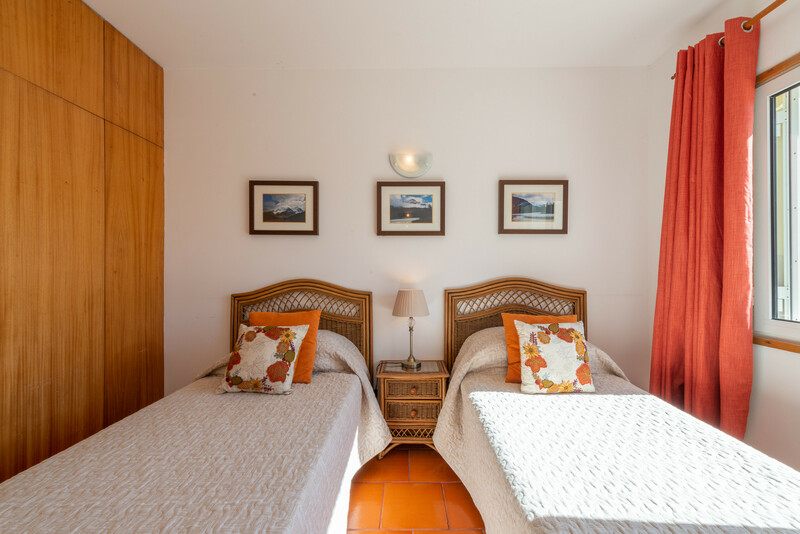 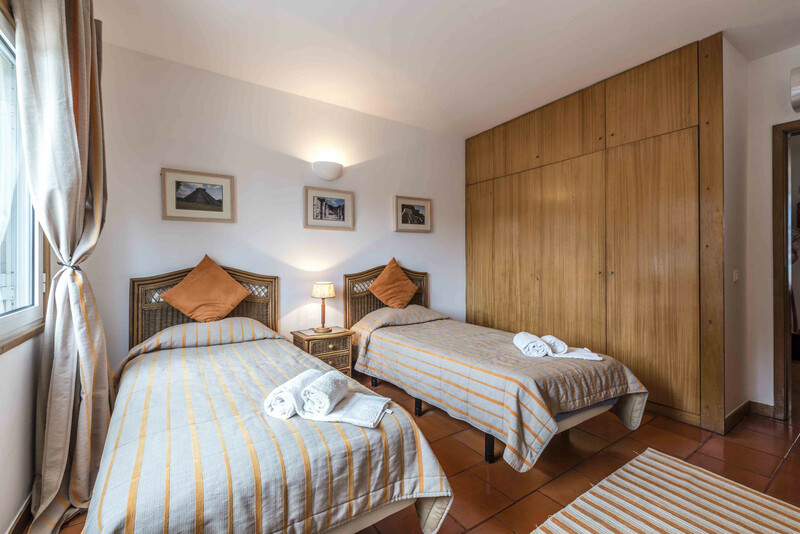 The terrace is also accessible from the double bedroom. 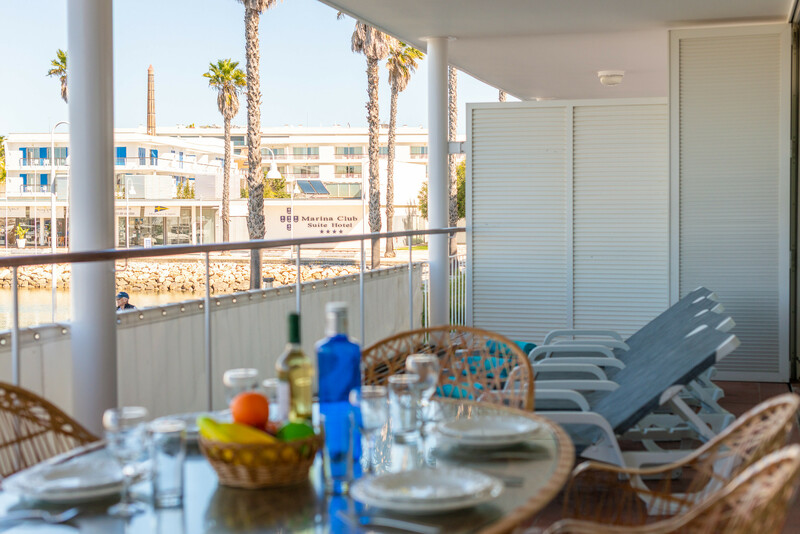 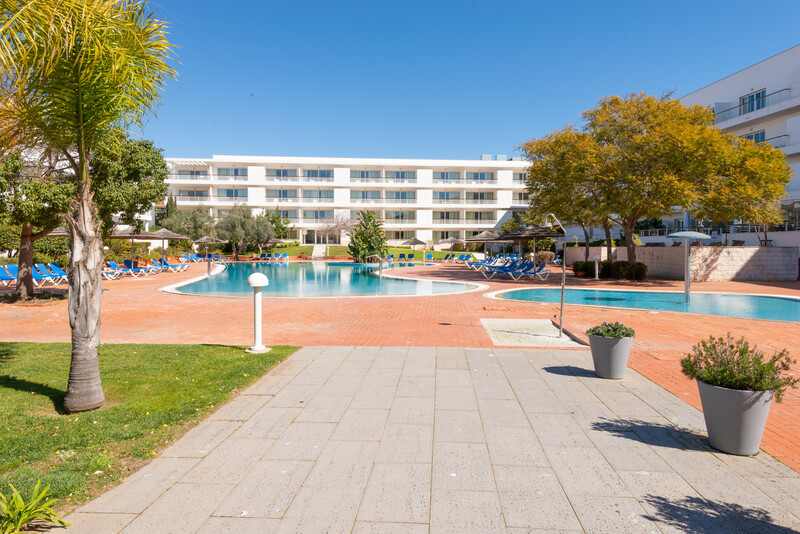 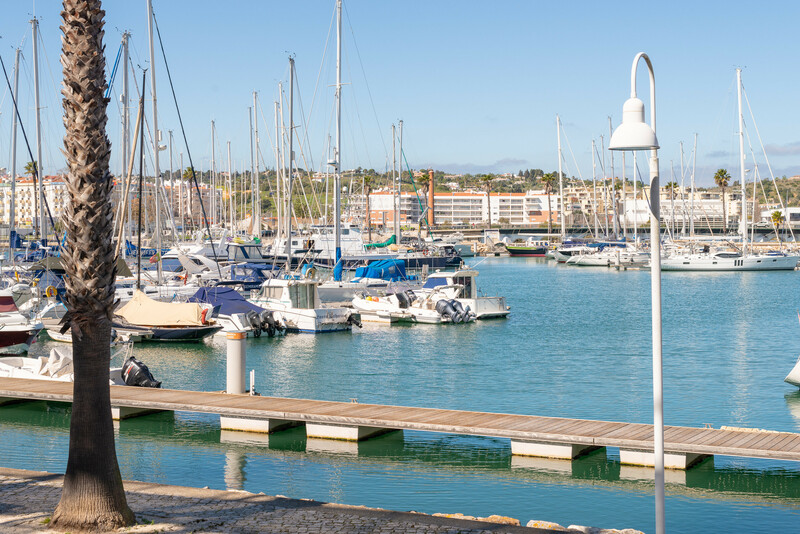 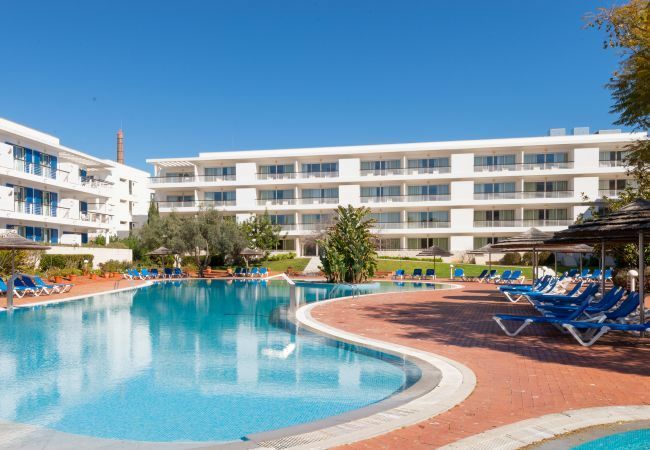 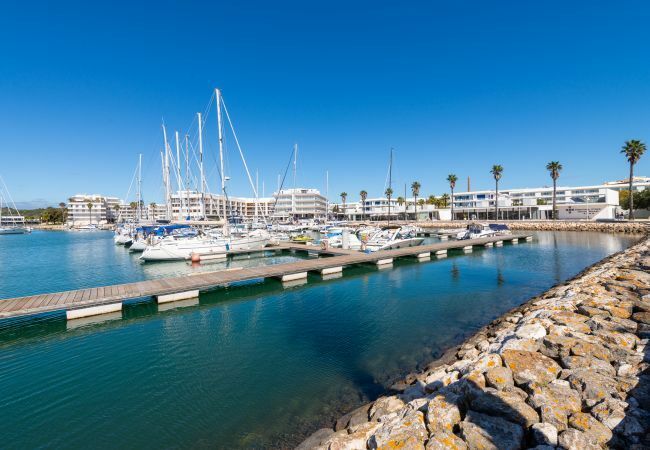 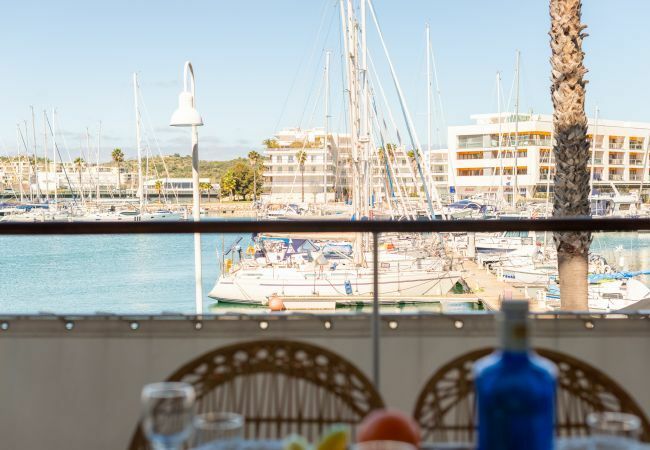 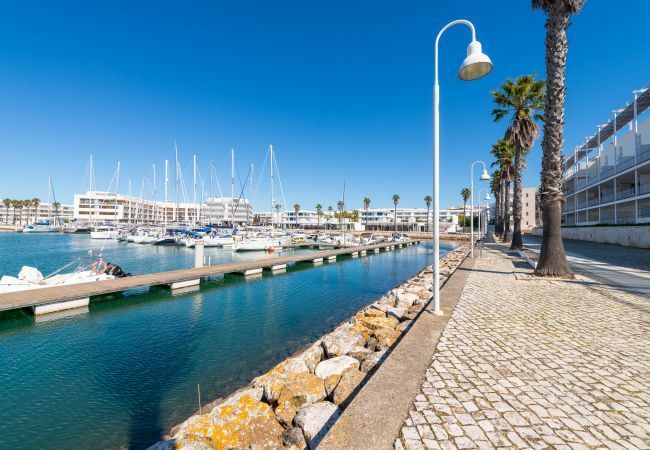 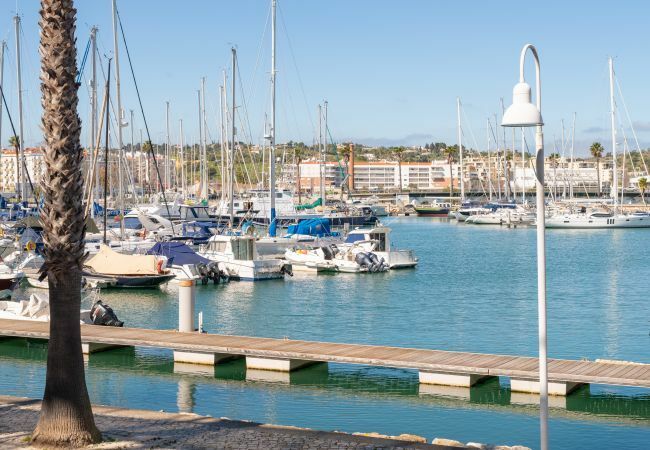 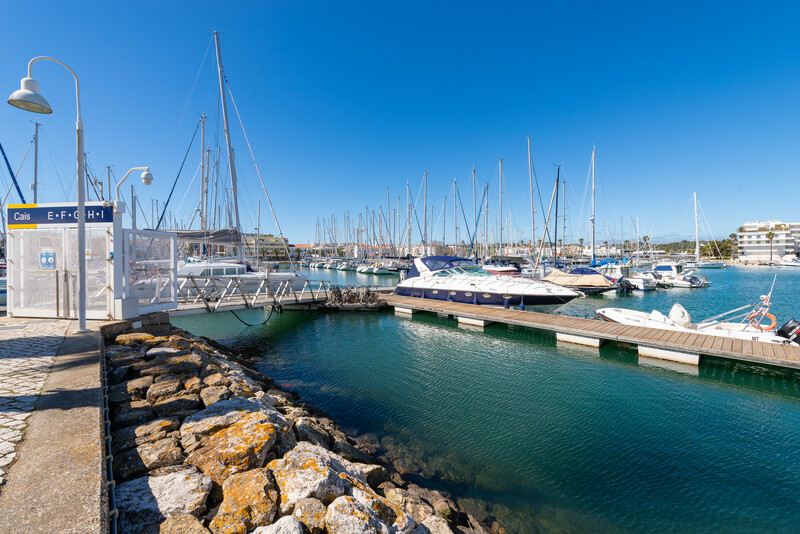 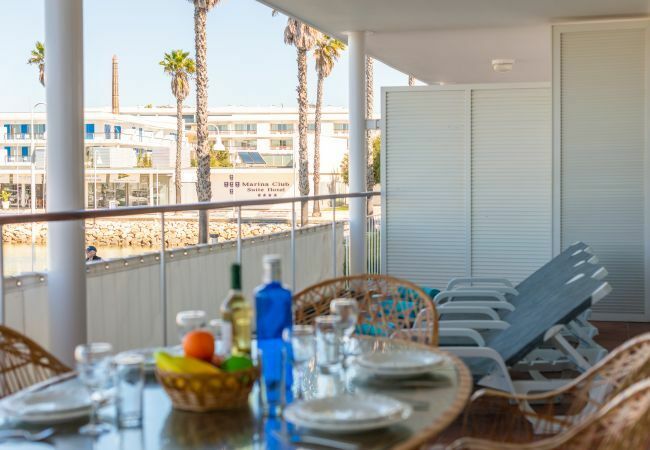 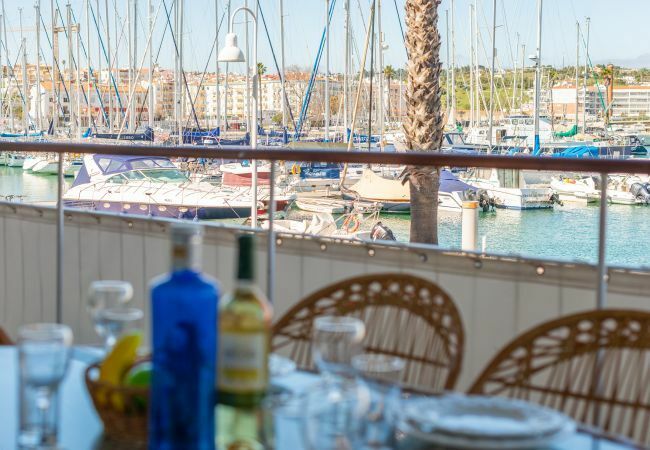 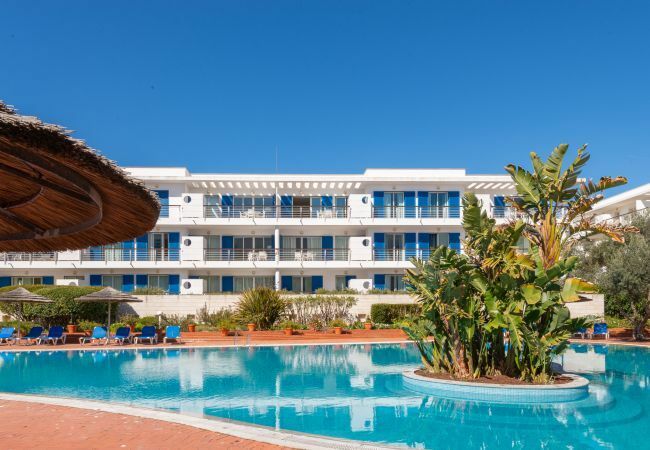 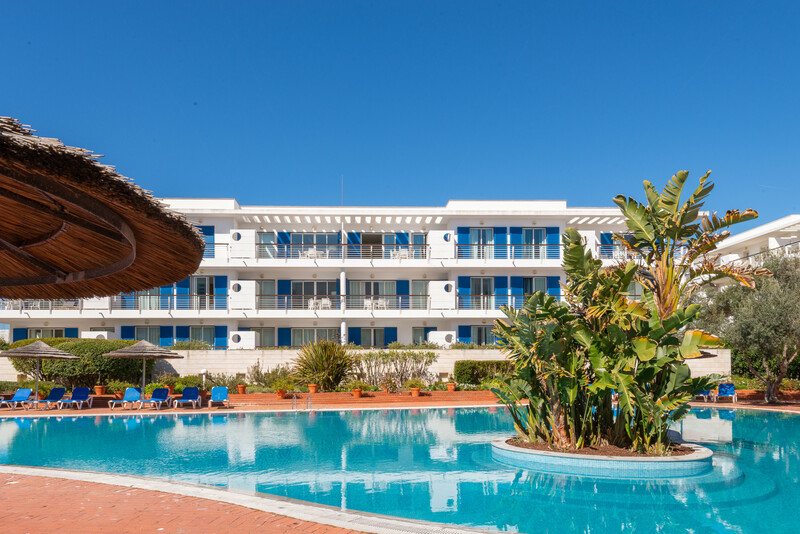 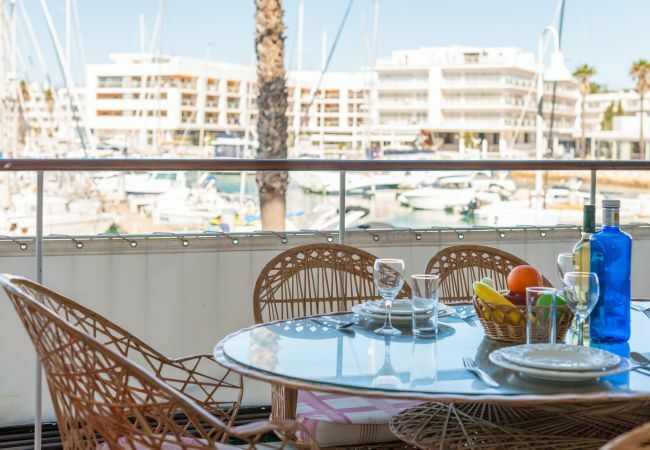 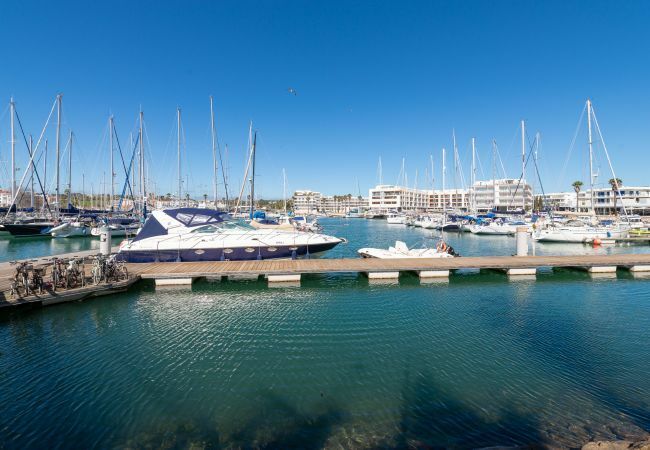 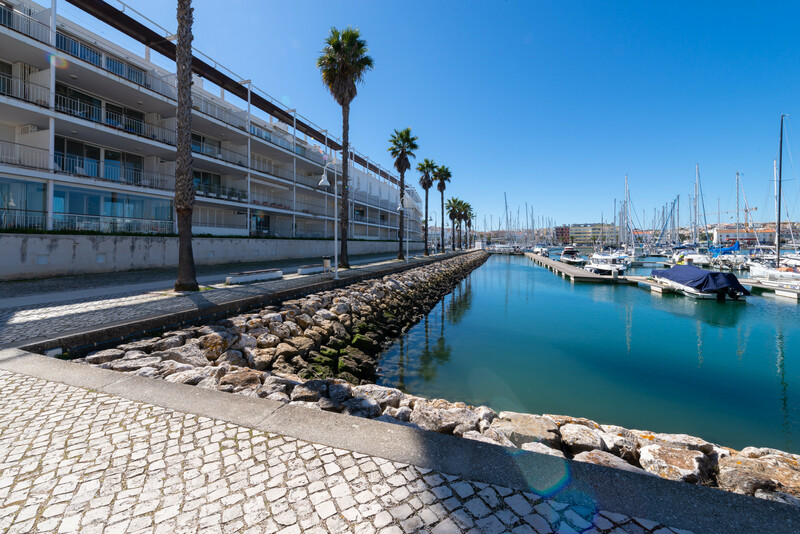 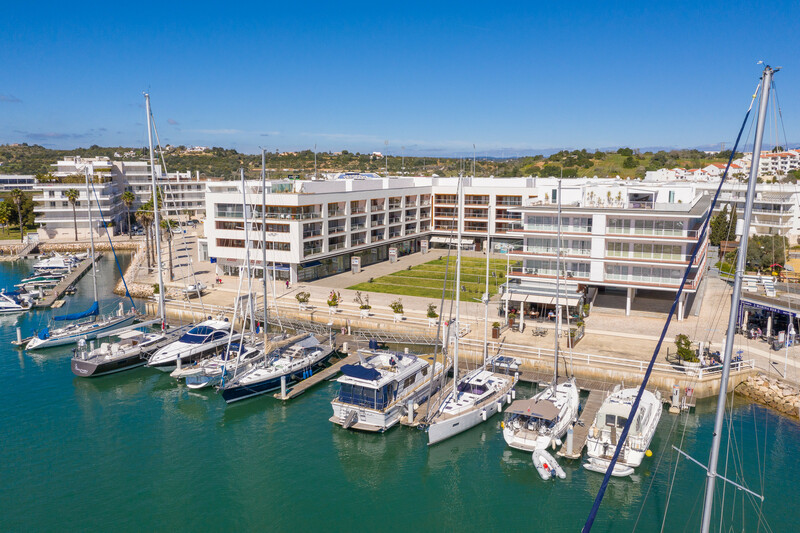 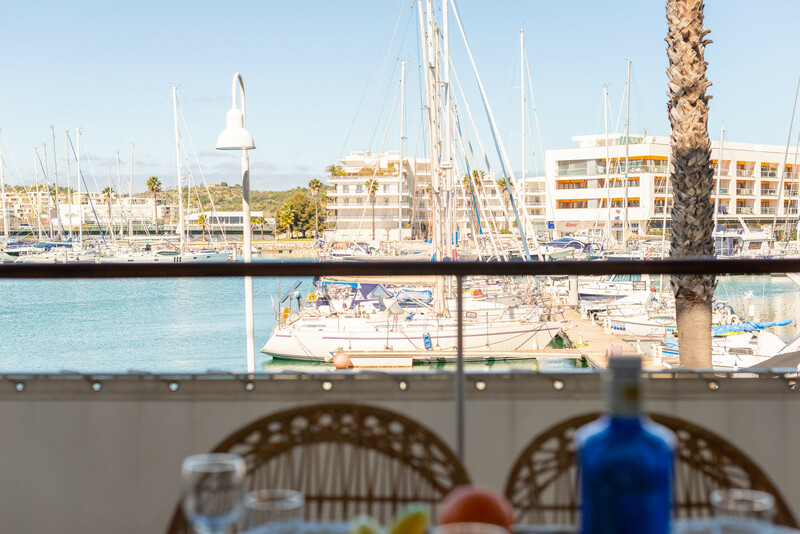 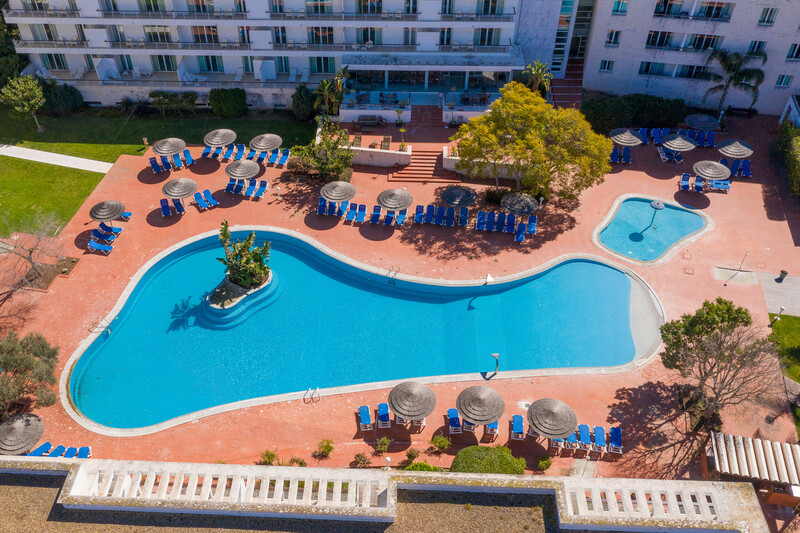 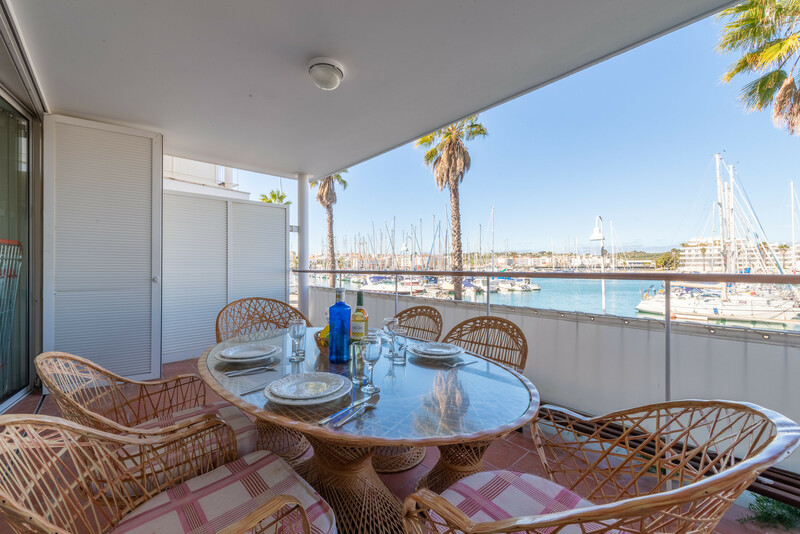 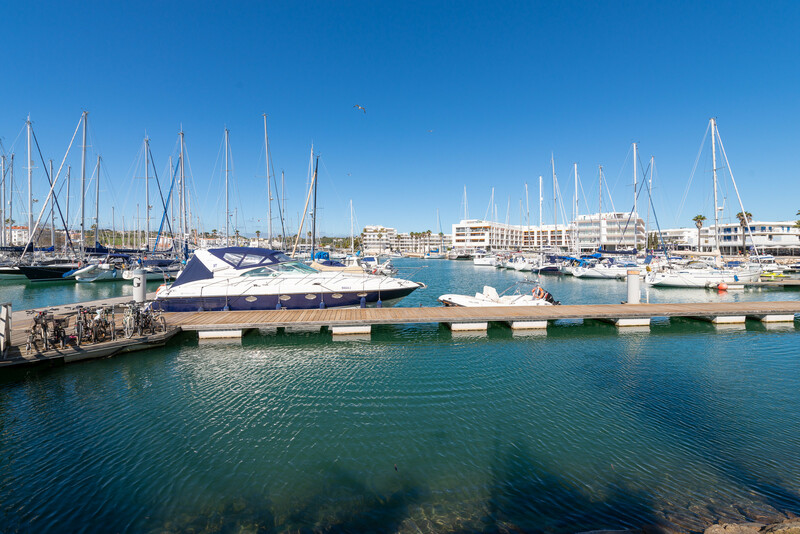 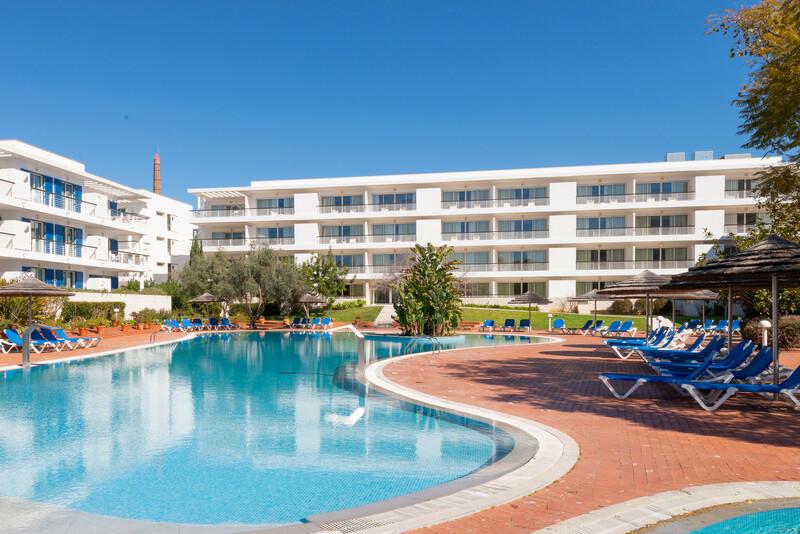 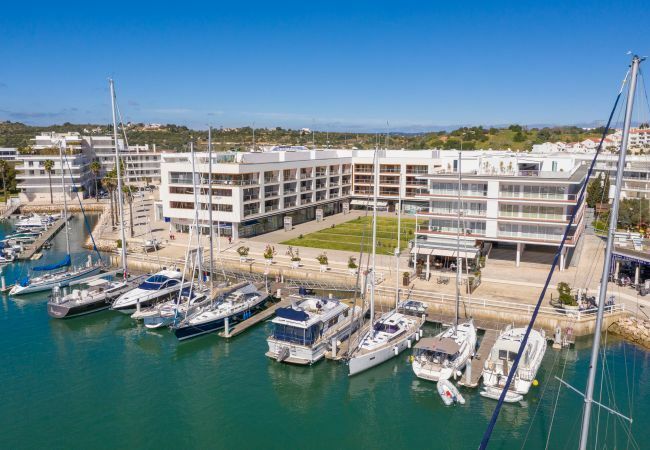 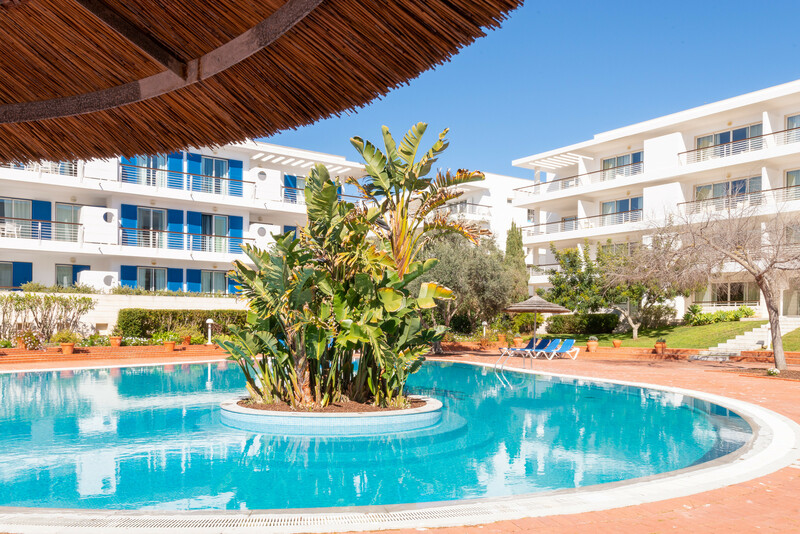 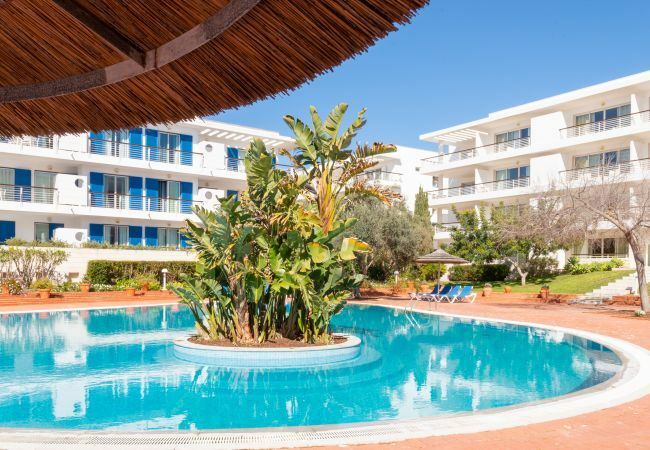 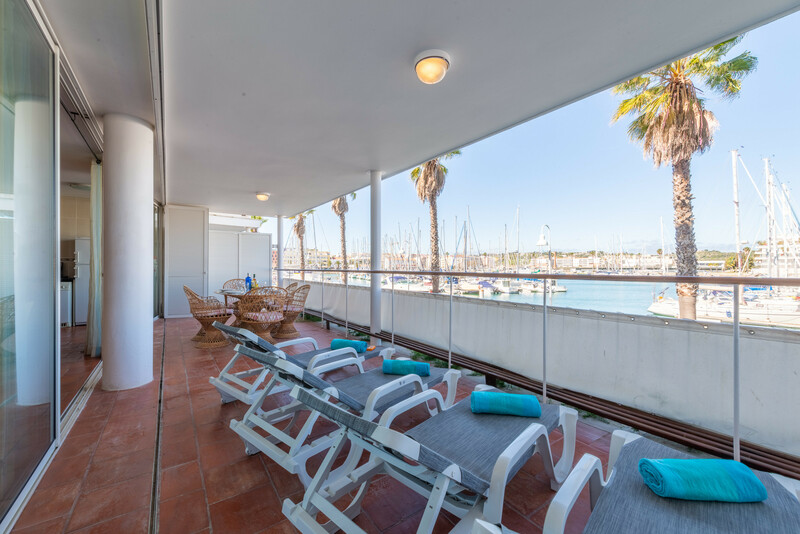 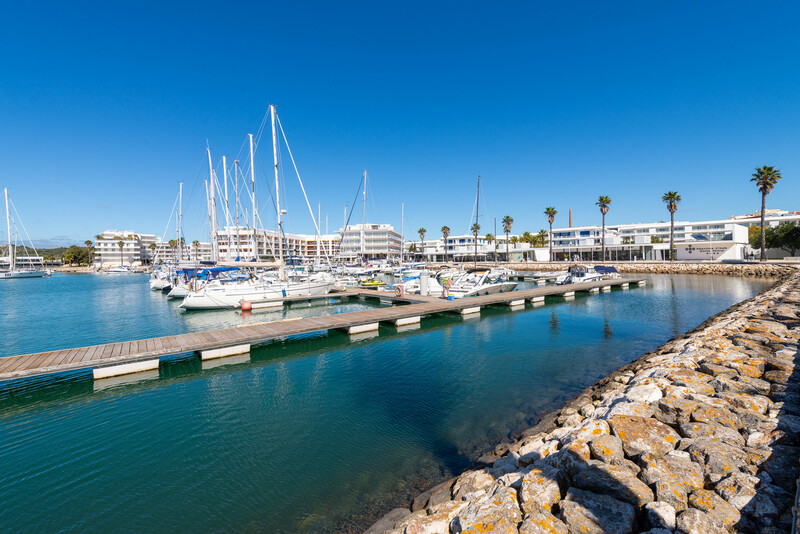 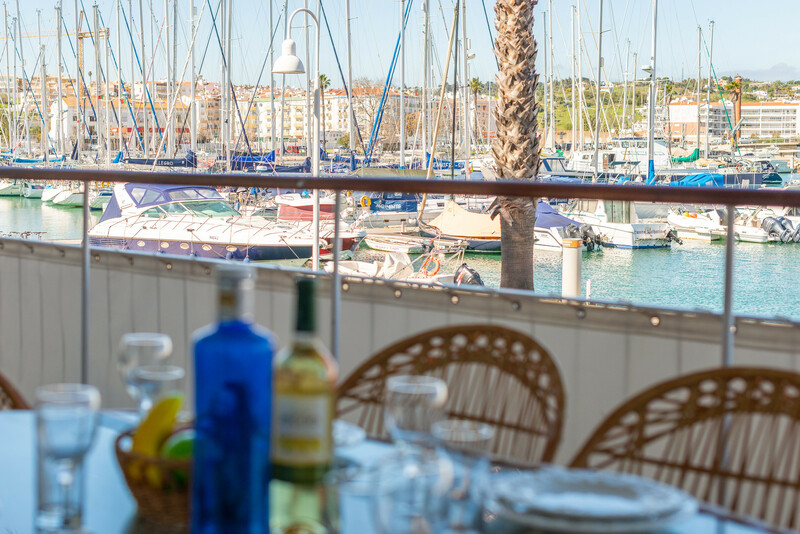 Guests staying at Sunshine Harbour benefit from access to the beautiful Marina Club facilities (large pool, children's pool, sun terraces with sun loungers and parasols, and restaurant/bar) - which is just a short walk from the apartment. 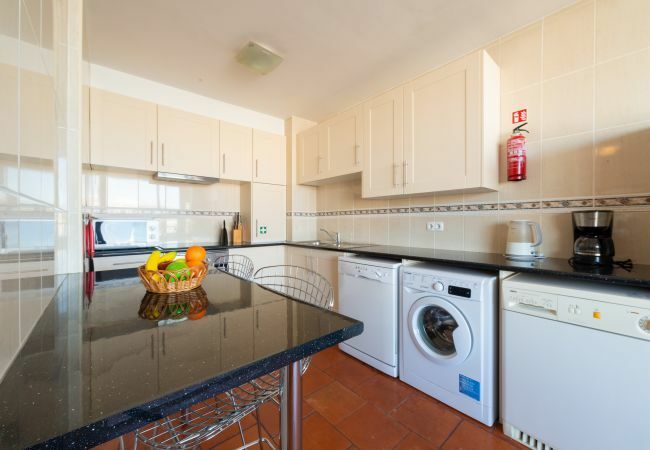 There is also a children's play area a couple of minutes' away. 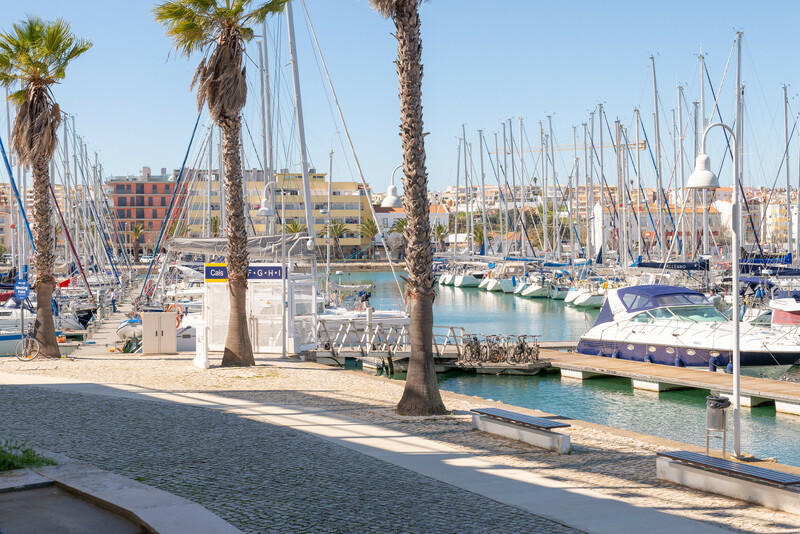 A stroll along the Avenida promenade, across the bridge from the Marina, brings you to the historic old town of Lagos and its wide selection of traditional and international cuisine. You can meander through the many quaint streets exploring the large selection of shops. 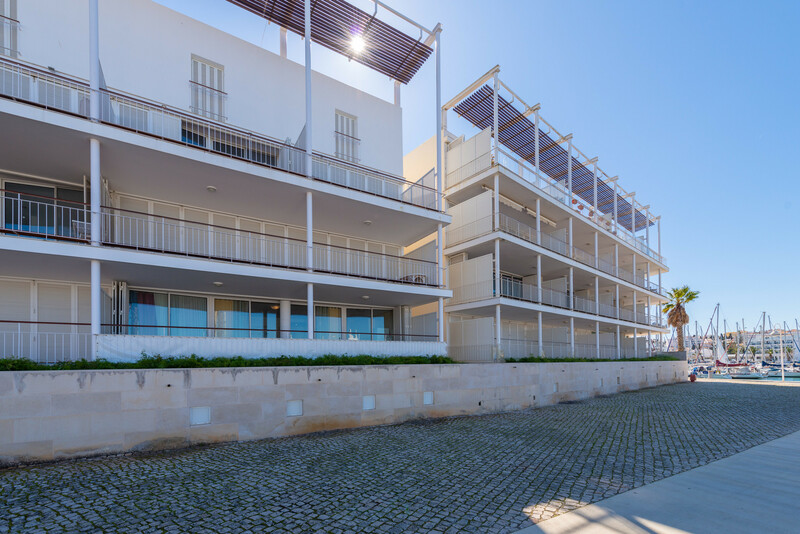 A car is not required when staying at this apartment, but if you do hire a car free parking is available directly in front of the apartment block. 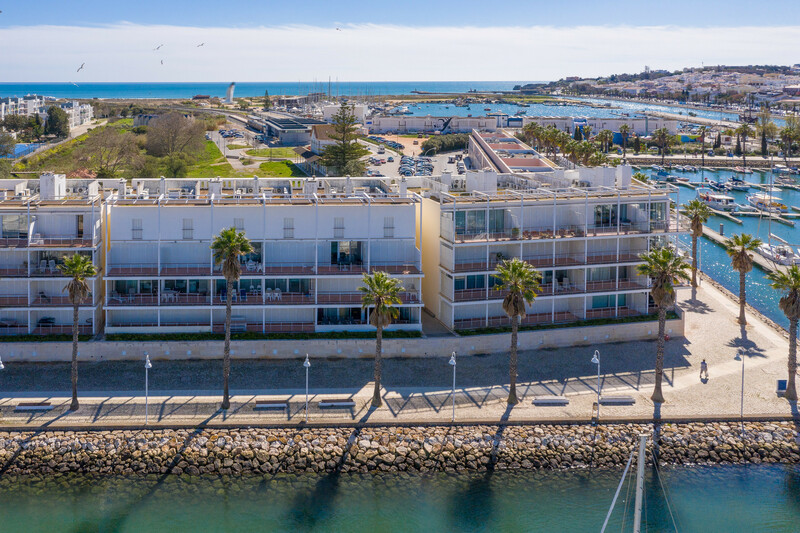 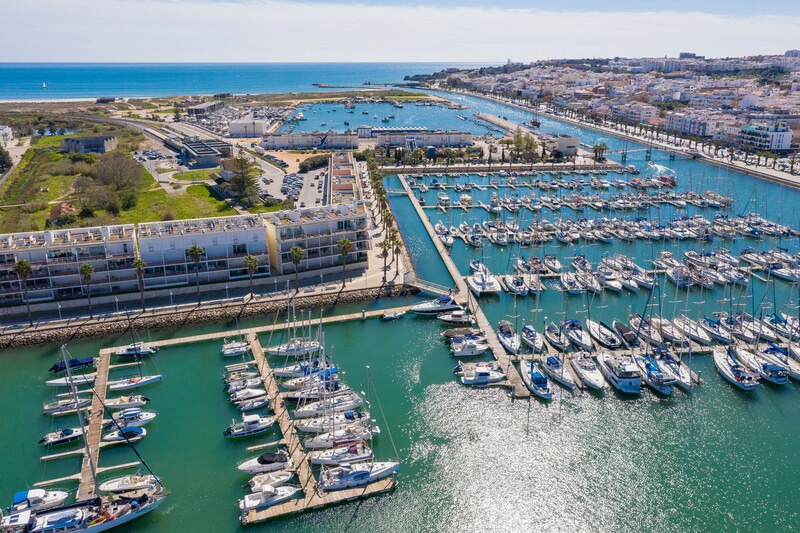 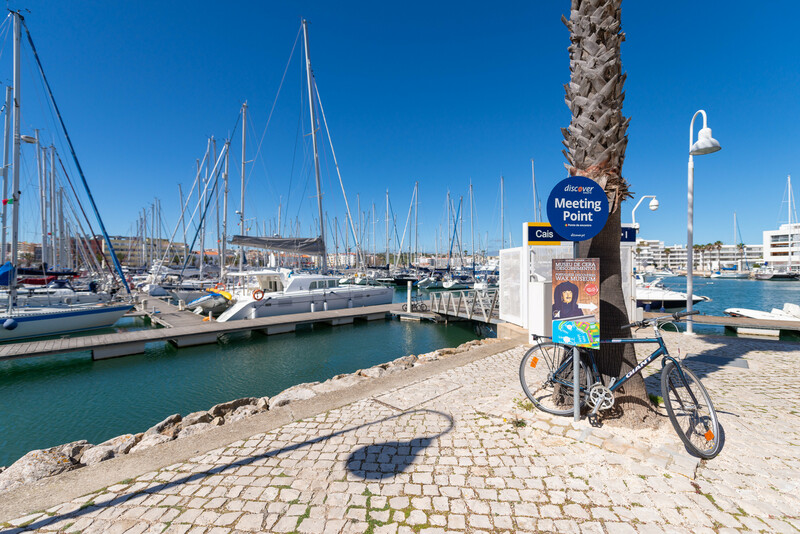 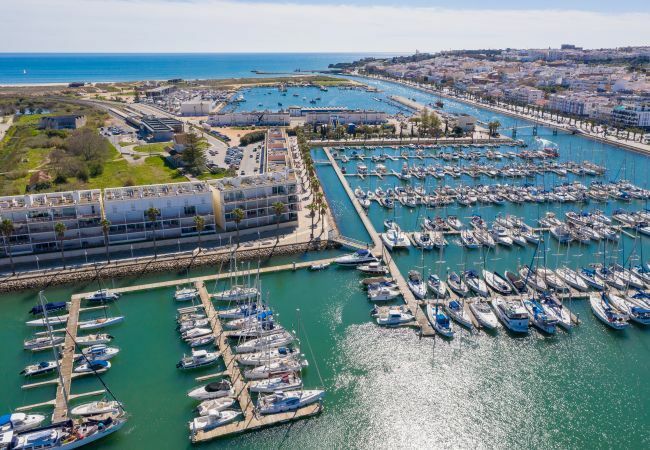 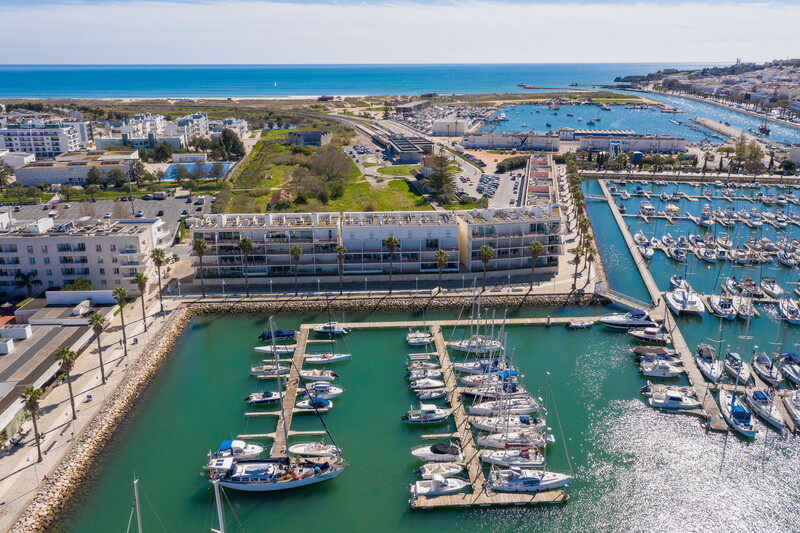 For those who want to explore further afield, the local bus and train stations are nearby and this is where you can take public transport to explore some of the former fishing villages (such as Burgau and Salema) further along the coast. 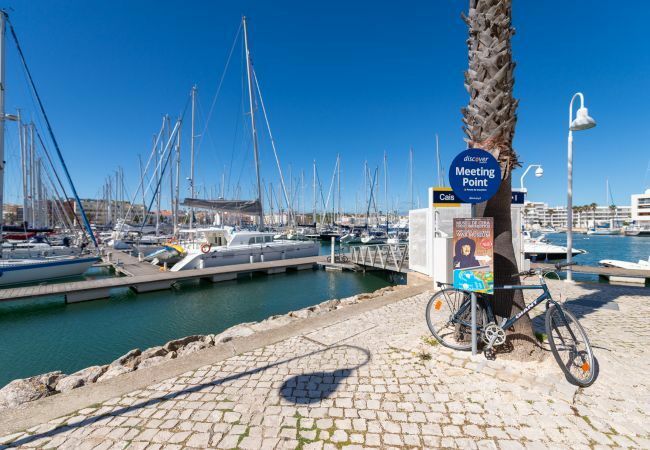 For grocery shopping, the excellent 'Pingo Doce' supermarket is a 5-minute walk from the apartment. 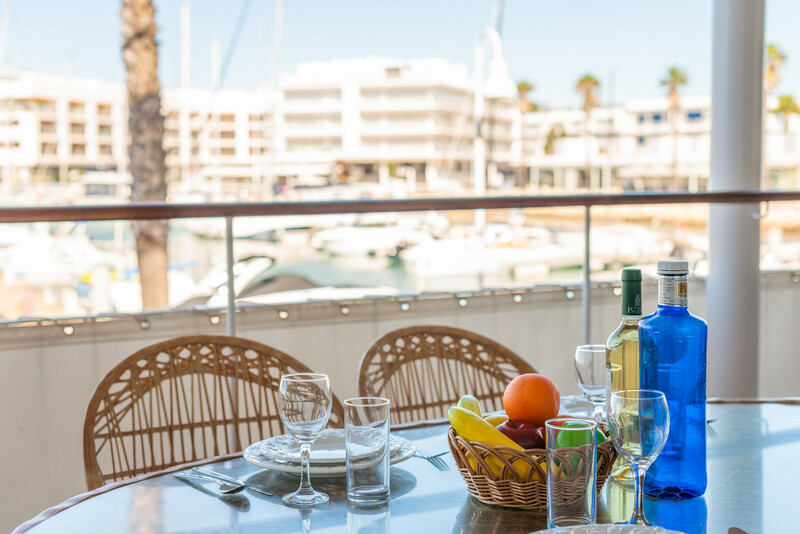 There are a wonderful and relaxing selection of waterfront restaurants and bars on the Marina, all very close to the apartment (100 m). 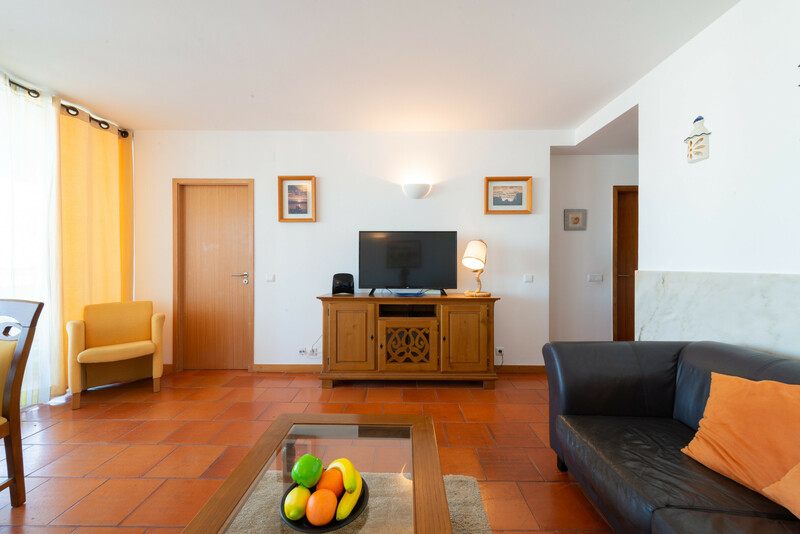 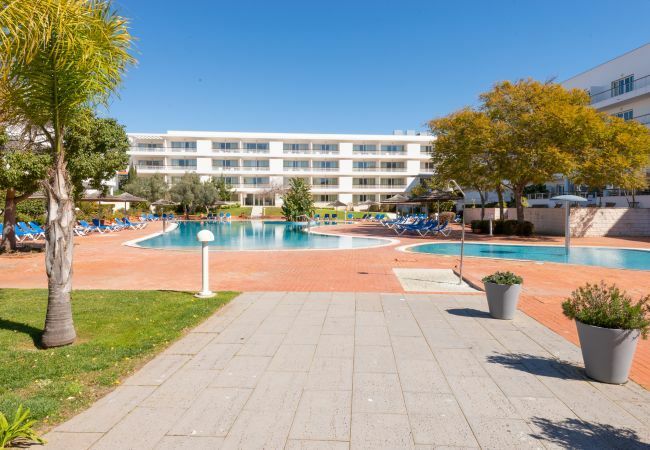 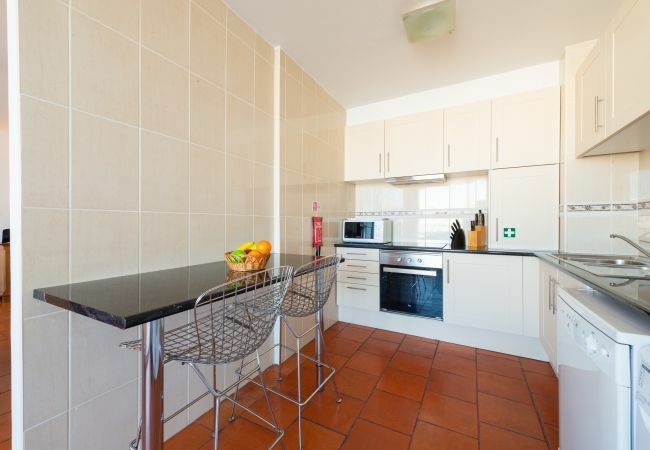 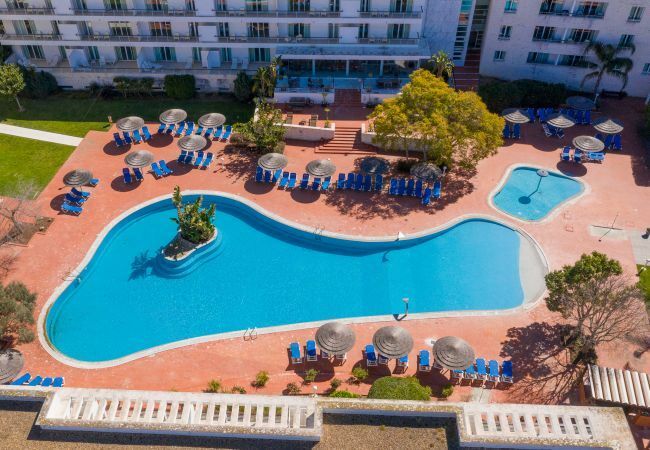 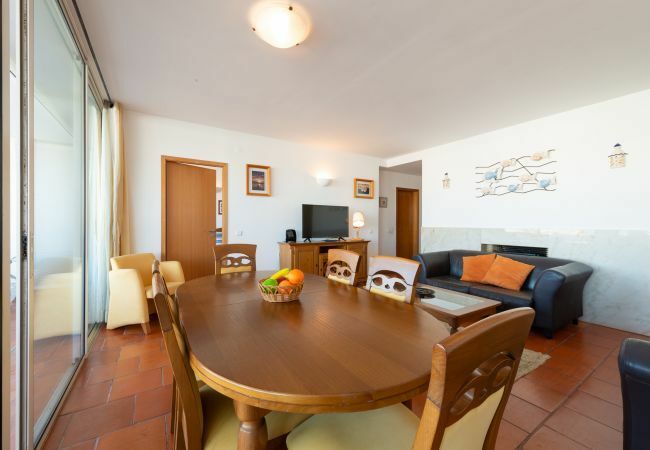 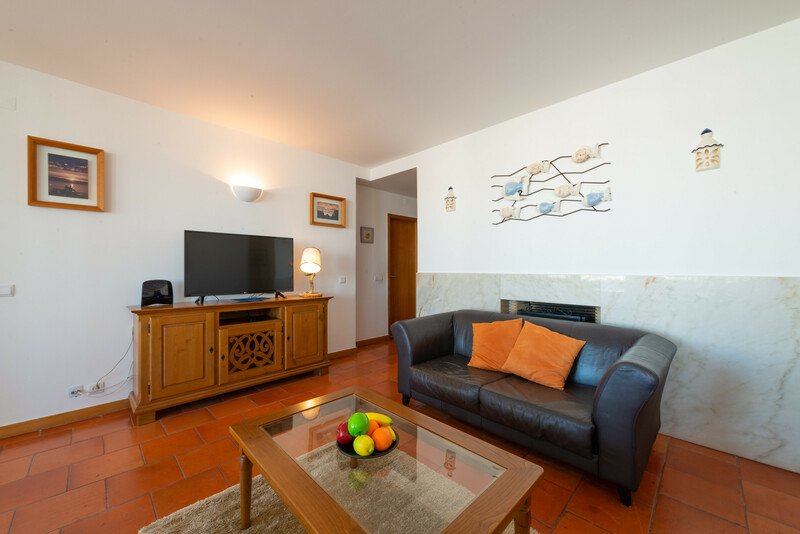 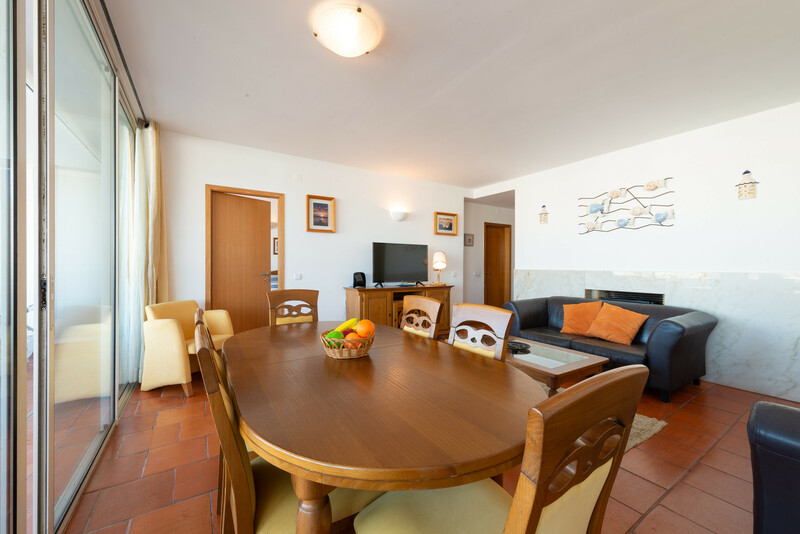 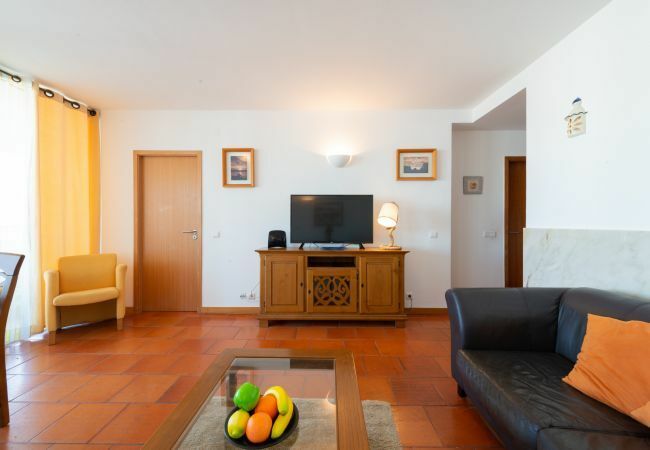 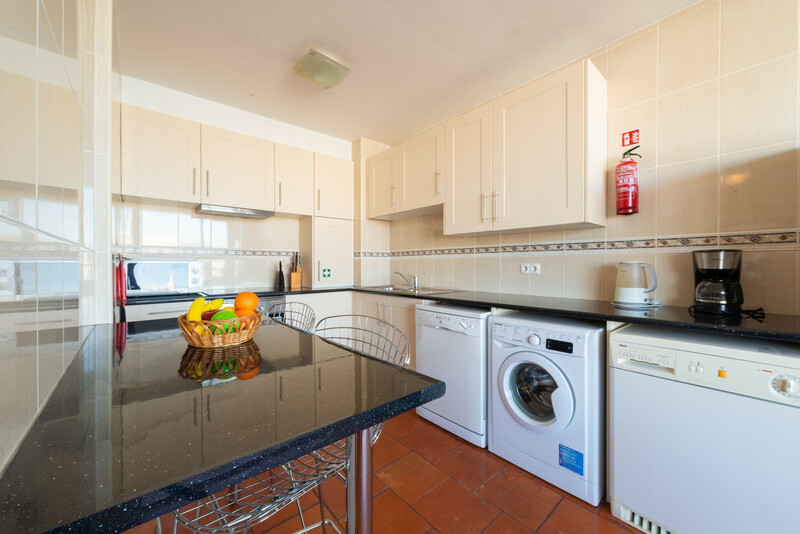 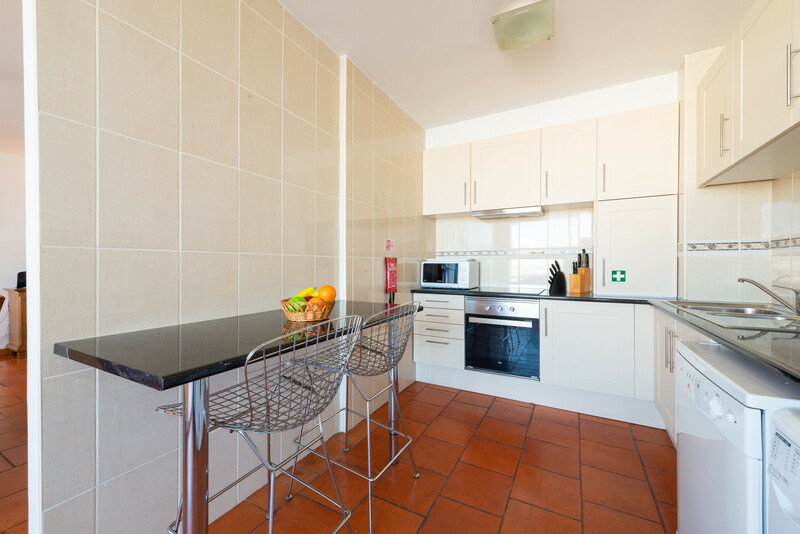 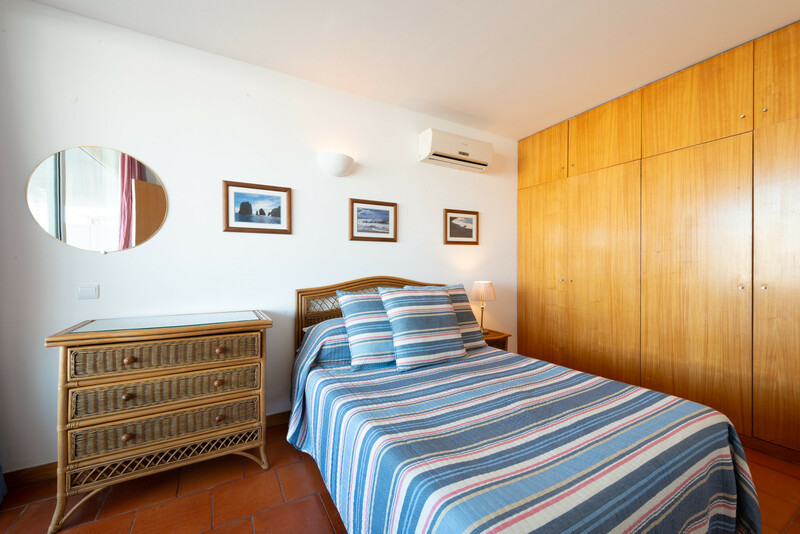 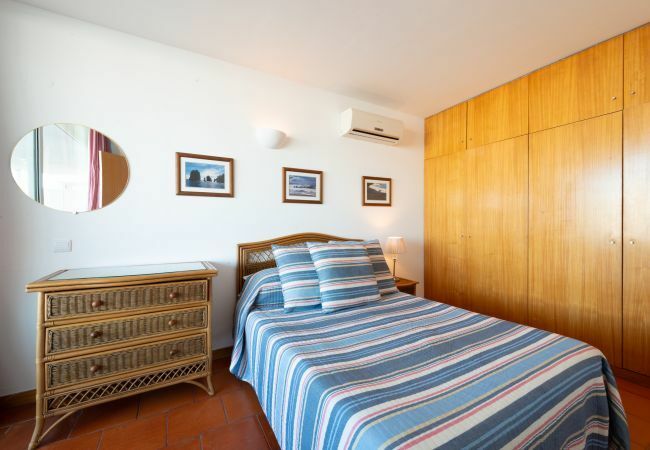 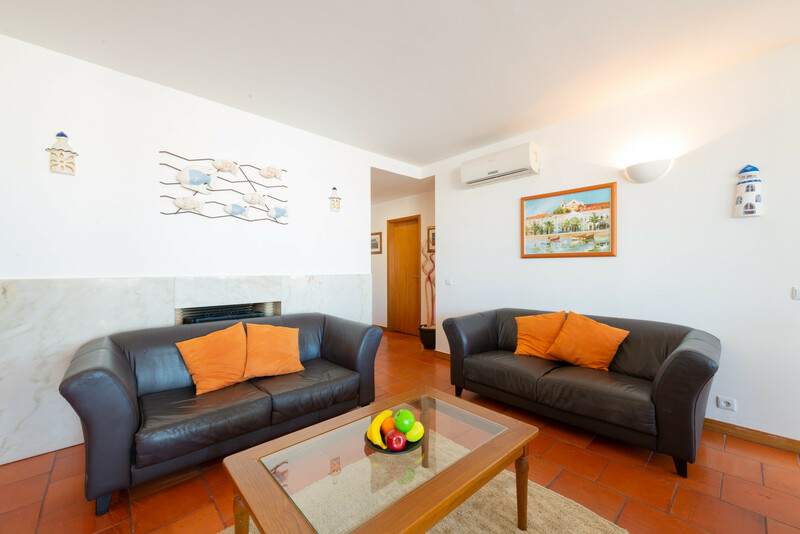 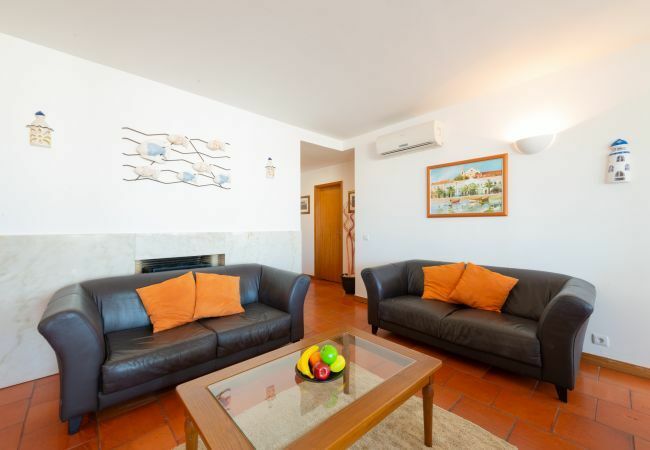 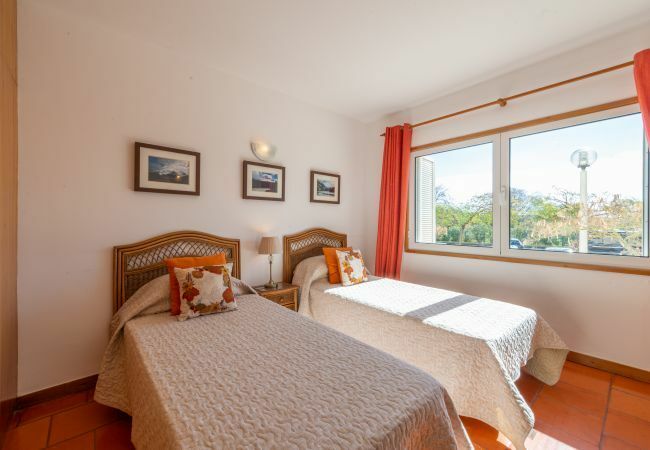 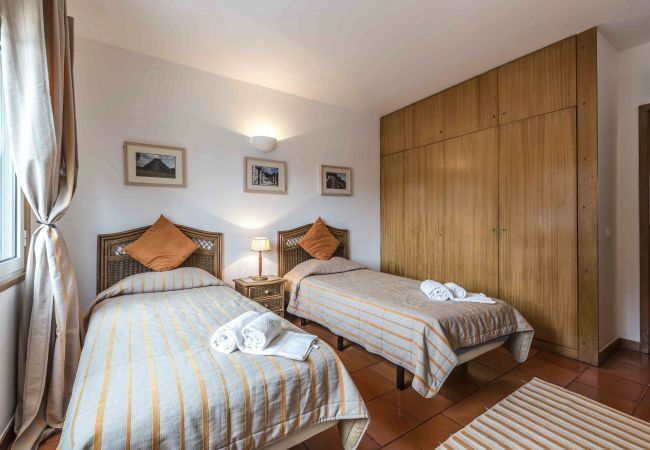 - 1 TV, iron, internet (Wi-Fi), hair dryer, balcony, air-conditioned, communal+children's swimming pool, Open-air parking in the adjoining building.